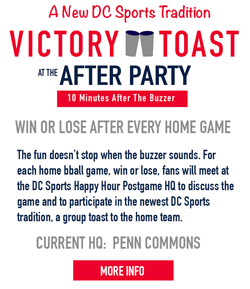 We are excited to bring you another Washington Wizards game watching party! 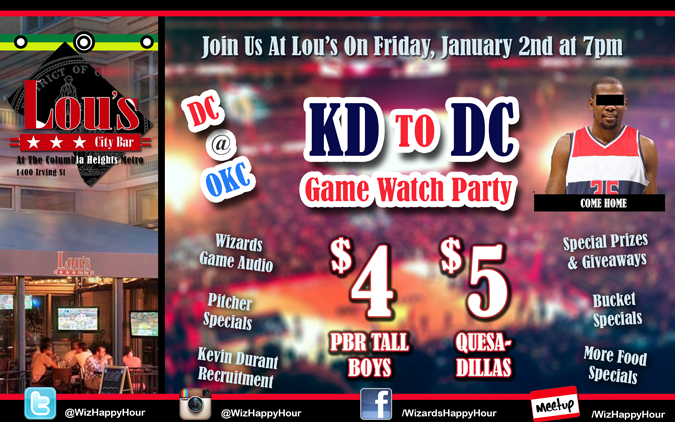 Join us at Lou's City Bar off the Columbia Heights metro (NW DC) for the Wizards @ Oklahoma City Thunder game on Friday, January 2nd @ 7pm! 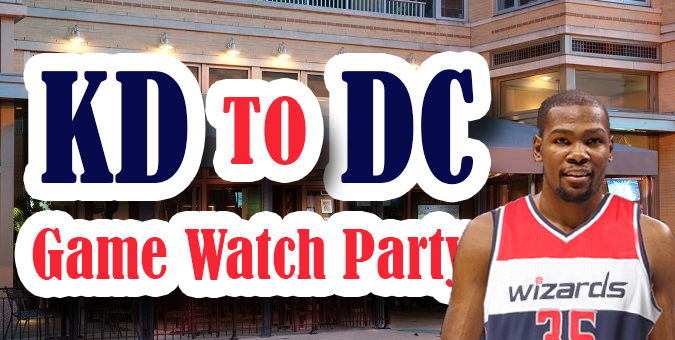 We'll have food & drink specials, prizes, and the Wiz game and audio as we make our best pitch to Kevin Durant to consider coming home to DC when he becomes a free agent. We've got a heck of a lot of schtick planned (Pics). 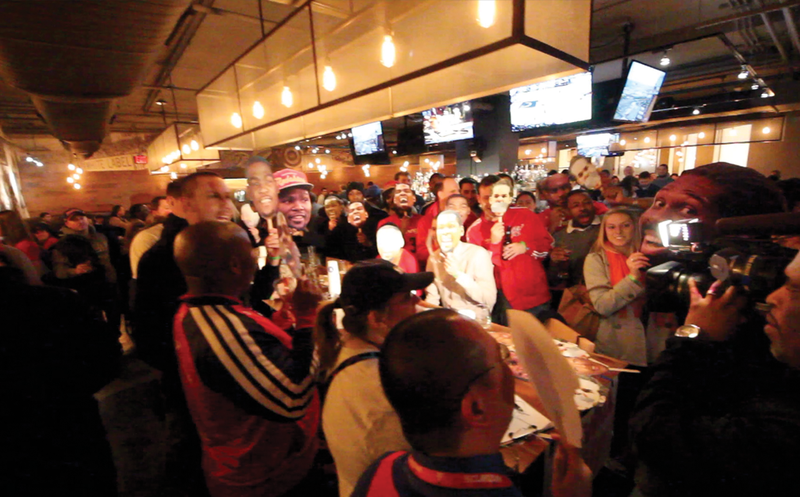 Our last event at Hard Times was awesome with Wizards fans taking over the bar with John Wall MVP chants, and we are looking to do the same thing at Lou's. Here's all you need to know about this fun Wizards fan event! Lou's is offering the Wiz Happy Hour crew a lot of great food and drink specials. There are specials on PBR Tall Boys, Miller Lite Pitchers, and Mexican Beer Buckets all night long. They are also hitting us with some under $10 food specials on quesadillas, half smokes, and brats & tots. 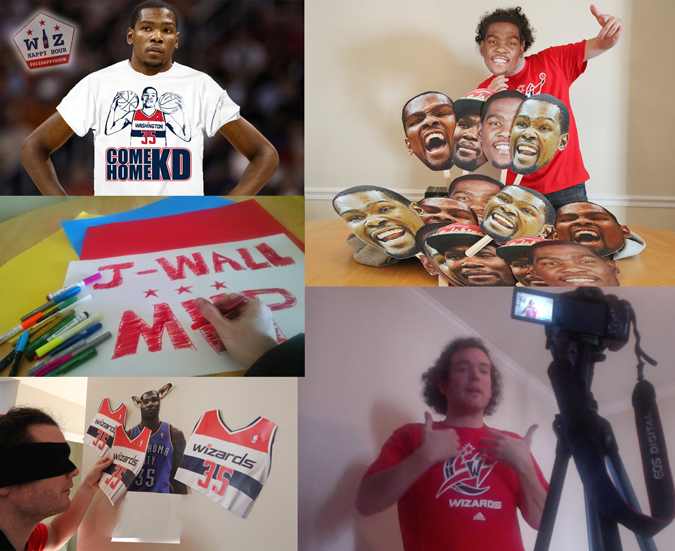 One of the fun things we plan to do at this event is to make our case to recruit Kevin Durant to the Wizards. We will have KD cutouts, give away prizes, and even set up a video camera where you can make your case to the self named 'Servant'. So RSVP on Facebook and share the event with all your friends. Let's show Durant how this city loves their basketball! You can view all our awesome schtick here! And the best prize of the night is going to be a Come Home KD T-Shirt so you can wear it all over town and spread the KD 2 DC Love. Thanks to the Come Home KD Movement if you can't make it or don't win you can get your own shirt with proceeds going to charity. We've got some other prizes confirmed as well! Check them out here! Getting to Lou's is a breeze as you just hop on the Green/Yellow line to Columbia Heights. 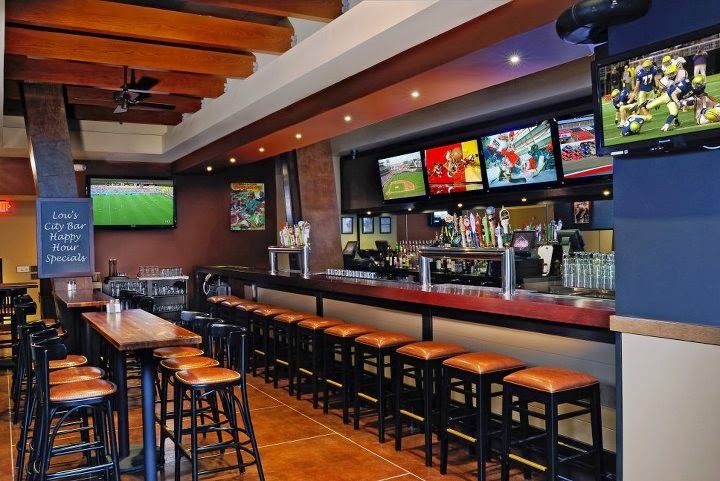 The bar will have the game on TV and will have a section that is playing the audio of the game. It is looking to be another awesome night all about the Wizards! See you out there and GO WIZ!! !